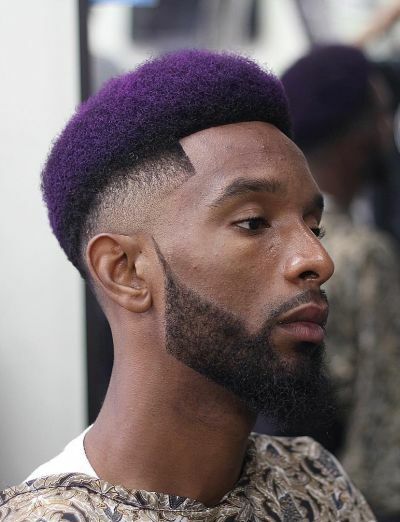 Mens fade haircuts have been an all-time favorite among men. For the trendy males, it can give the effect of a more modern look; cool and classy without looking like you’re trying too hard. When done right, a fade haircut can give you the desired effect and make you look dapper—without much effort. 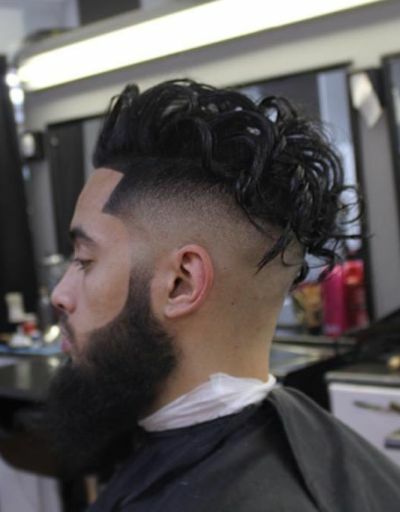 In this article, we’ll be giving you the best of the best fade haircuts of 2016 that you can try, and surely pull off. 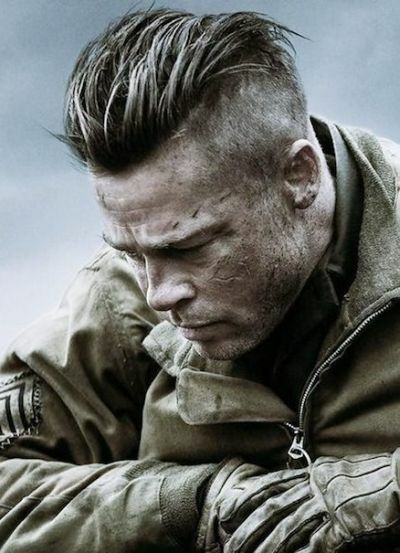 Pitt’s haircut in “Fury” looked out of place because it looked modern, didn’t it? Well, that doesn’t stop him from being a style inspiration for this list. With this cut, you have the sides of your head shaved close, and you let your hair at the center grow out—a sleek and tough look, indeed. 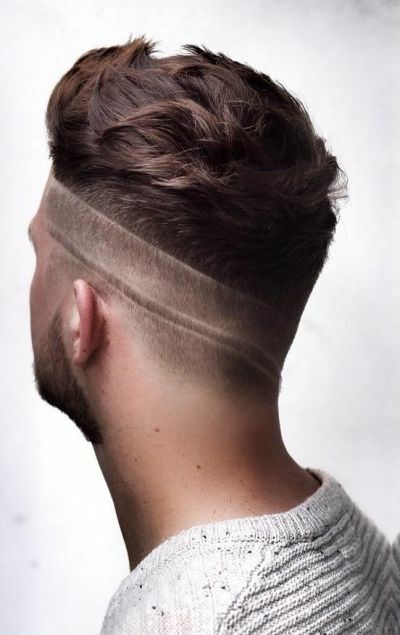 If you’re looking to nab a look that’s in between classy and edgy, try out a comb over with a special twist—asymmetrical line-ups with a bit of angular combovers. 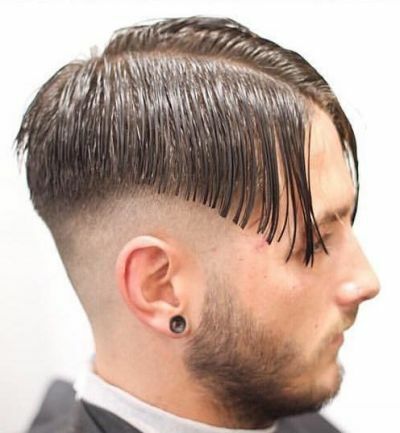 This hairstyle is for men with thicker hair. With this style, you can nab that boy-next-door look with a choppy, short hairstyle on top. But you can also unleash your inner bad boy with a neat line at the side. If you’re feeling a little bold, try this haircut out. 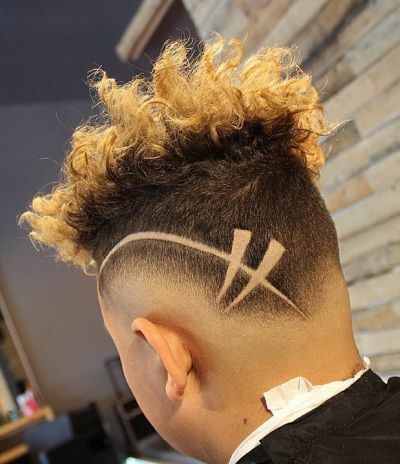 It’s a simple fade, but with a creative design to catch eyes. 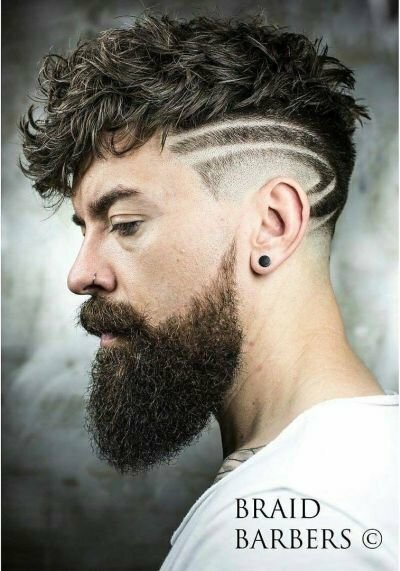 If you want to get a little creative and bold, try shaving he sides of your head to a close cut, with a short hawk to concentrate all the attention on the center. 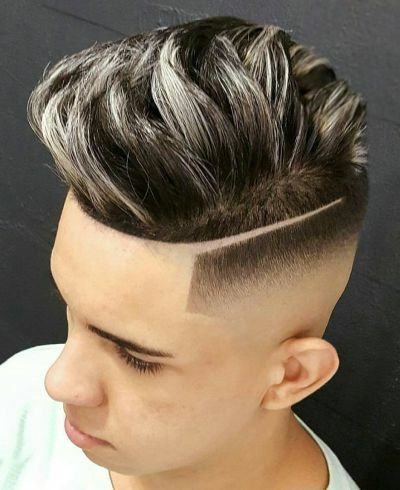 Another great and creative design is this high fade with front combover hairstyle. But not just any combover—a sectioned, styled, and gelled combover. 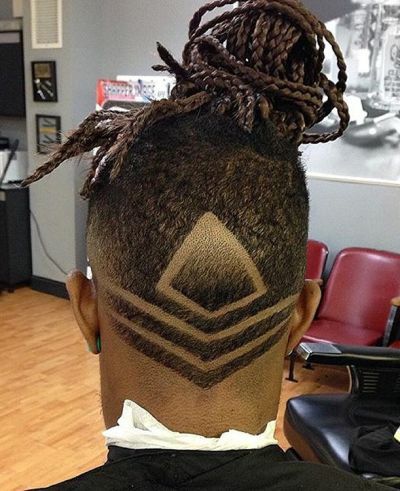 Step up the creativity ladder and get yourself this haircut if you want some attention to your hair. With this cut, instead of cutting out designs on your hair, you can leave the hair instead as the design. Pretty neat, isn’t it? 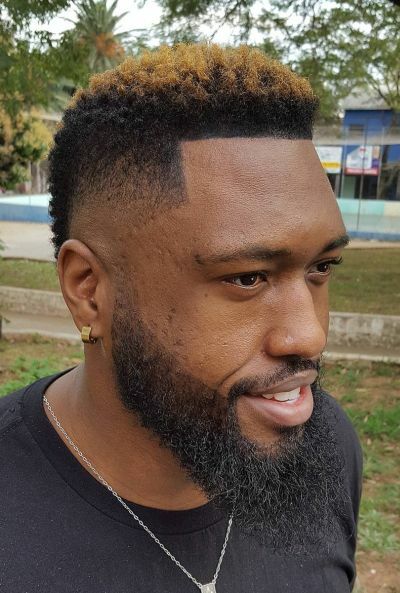 This is another great cut for afro-wielding men. Spice up your fro and impeccably straight line with a little bit of gold dye on top. A little bit of color to spice up your look won’t hurt anybody. 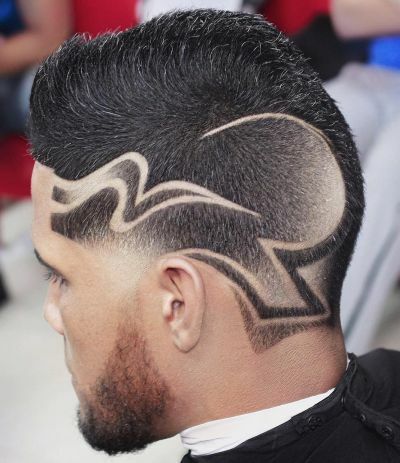 Now, this fade haircut is really getting into the game. 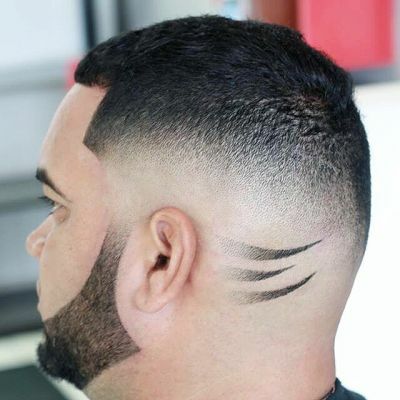 With so many styles that are in trend, you may want to choose a cut that sets you apart from the others—for instance, a flat cut on top and creative designs on the sides of your head. Now, this hairstyle can be great for both thin and thick straight hair alike. In this style, you get a V shaped cut at the sides and back of your head, then you let the growth in the middle of your head follow the V-shape with a little bit of styling. 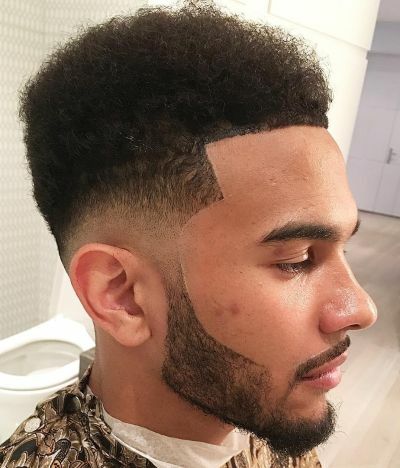 To all the men out there with naturally occurring curls, a fade can also work for you: in this haircut, you can see a burst fade along the sides and back, which really focuses all the attention on your curly top. 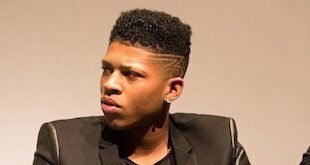 If you have a ‘natural fro’, do not—I repeat—do not hesitate trying this fade out. 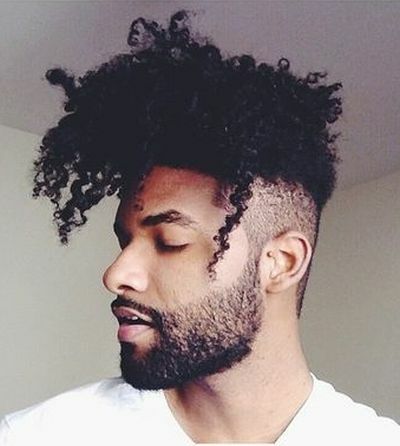 Just like style inspirations such as ‘The Weeknd’, a natural, big afro combined with a high fade is both stylish and an embrace to your natural feature. 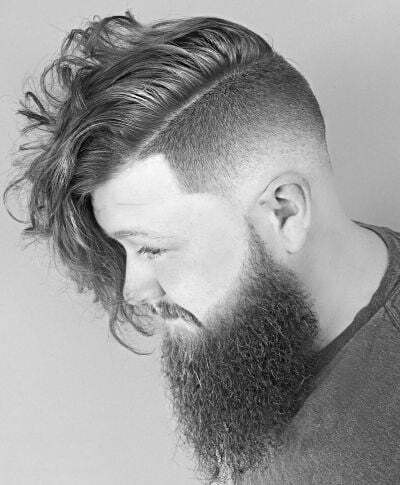 For men with thin hair, you can do with this fade hairstyle. As you can see, it’s a high fade along the sides, with a neat, gelled up partition that makes you look very neat and classy. Combine the elements of rocker 70s and modern men hairstyles with this cool cut: classic Mohawk and fade. 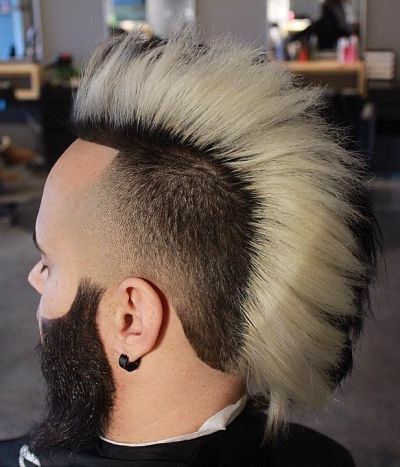 With this hairstyle, you can combine fade along the sides of your very cool, very long Mohawk. 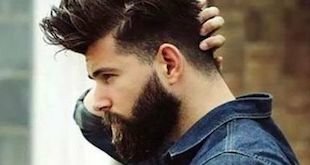 For thinner hair, you can try this tactic: do a very high fade along the sides of your head and focus attention on the center, making your hair look thicker up top. Do a little bit of contouring on the top while you’re at it. 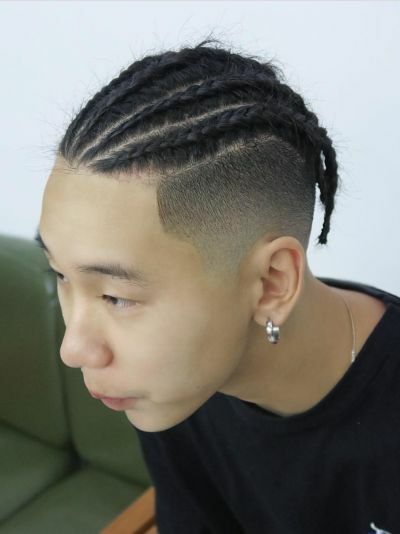 You can combine the 90s hip hop scene and today’s trendy men’s haircuts with this particular style. 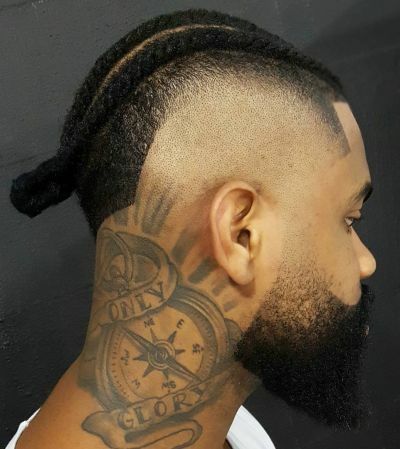 With cornrows at the center, you can have a taper fade along the sides of your head, creating a really cool effect. It looks complicated, but this style is very easy to achieve. 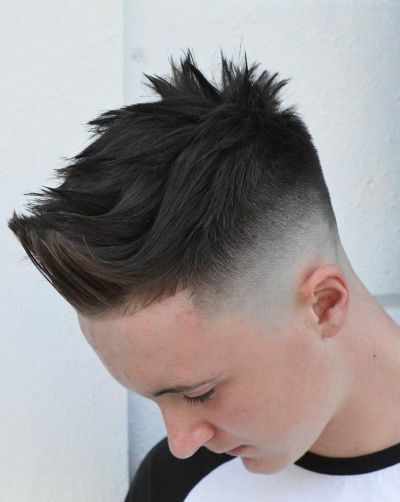 Again, this particular cut combines boy-next-door and edgy, with a tousled style on top and lined up cut on the sides. All the curly-haired men, raise their hands! 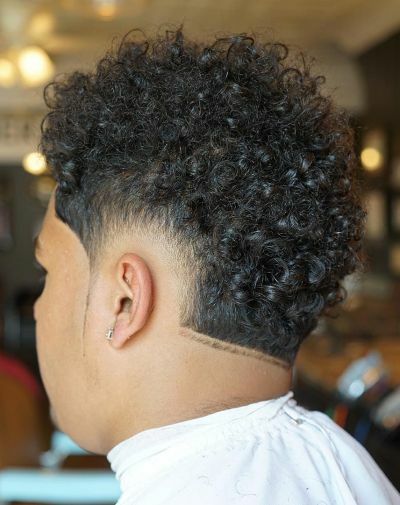 If you’re thinking of letting your natural curls grow, have them the center of attention by getting a high fade along the sides and back of your head. 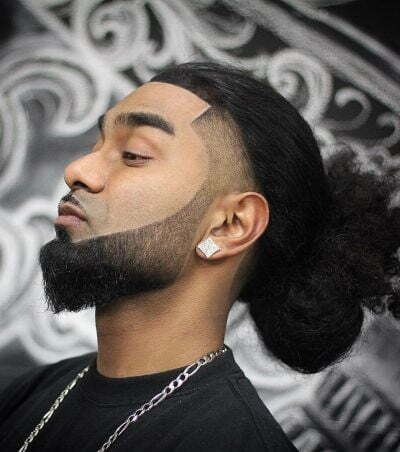 This hairstyle can make thin-haired men look like he has a fuller head of hair. 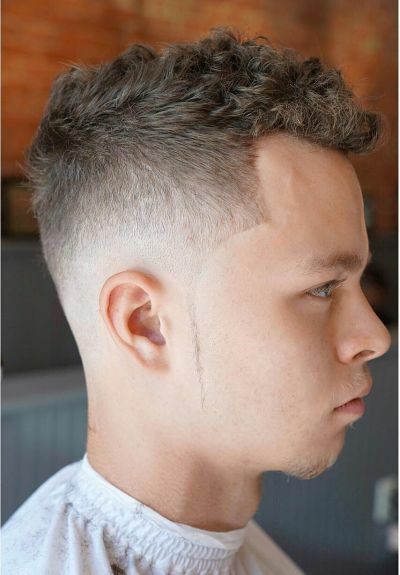 With a low fade cut, you can concentrate all of the volume on top, which you can further emphasize by styling upwards. 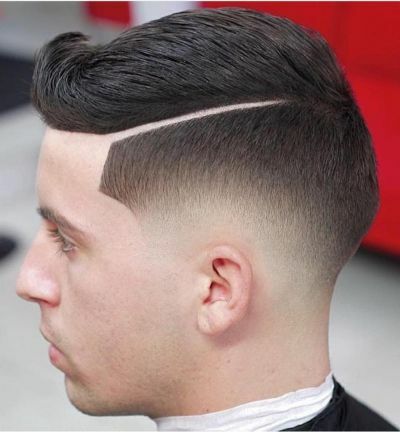 This type of fade never goes out of style, and probably because so many men are continuously getting it. However, the problem is this: how can you stand out if there’s so much people out there with the same hairstyle? 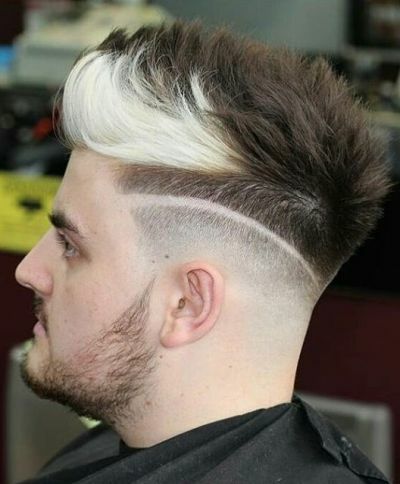 Well, like in this photo, you can try adding a white streak to your high cut fade—stylish and unique. 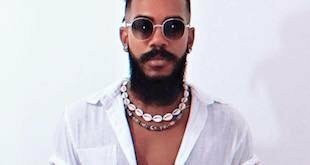 Another option for dudes who have afros and dreadlocks. For this style, you can make your cut more creative by designing at the back of your head. Pity you won’t get to see it regularly though. 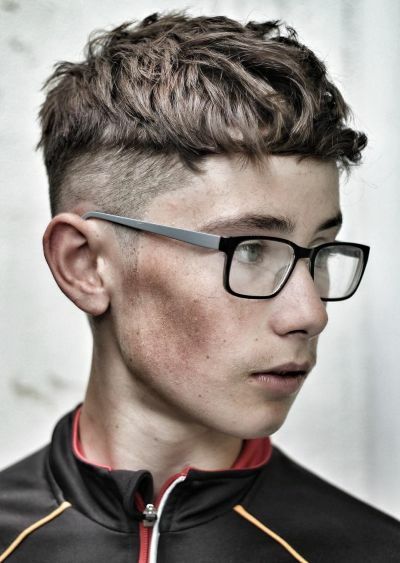 Looking to nab a tough and unique look? 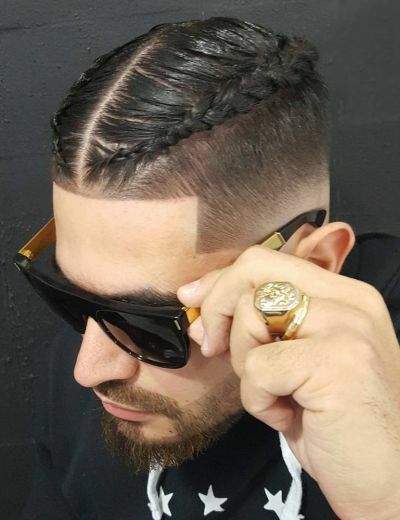 Have your long hair braided into two long braids, but not without getting a fade long the sides. If you can’t dedicate enough to a fully grown Mohawk, try a faux hawk and make it look more modern with a delicate fade on the sides. Looking sharp and dapper has never been so easy. 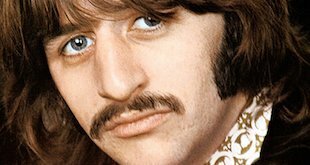 With this haircut, you can rest the eyes of those with OCD, as this haircut is very clean, neat, and straight. 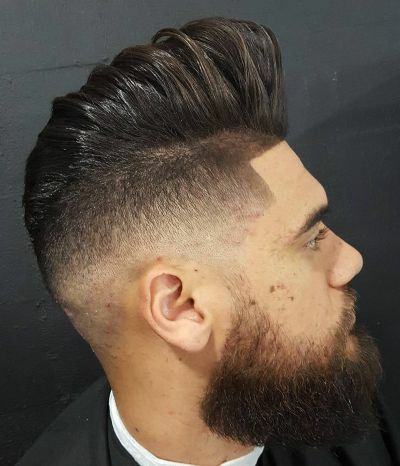 If you want your beard to get into the action as well, then this haircut is great for you. 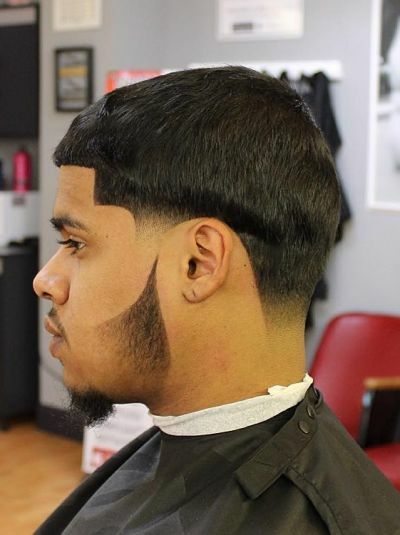 if you want to achieve this look, simply ask your barber to line you up both at the top and at the bottom of your face. Thin hair? No problem. With this cut—almost bald at the sides—you can appear to have more hair by concentrating all of it at the center top of your head. 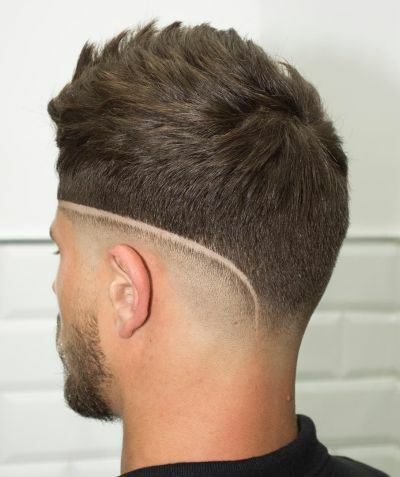 A classic, simple cut for all the men out there—but with a unique and edgy look: straight lines along the sides that make you look sharp. 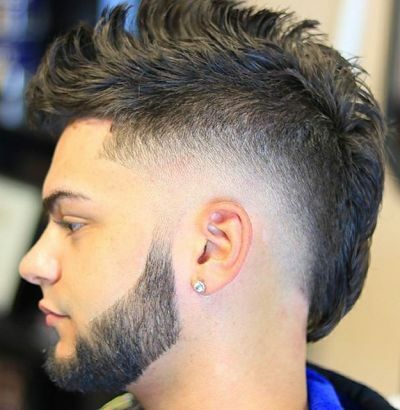 If you want to look very masculine and tough, then this haircut is definitely the one for you. 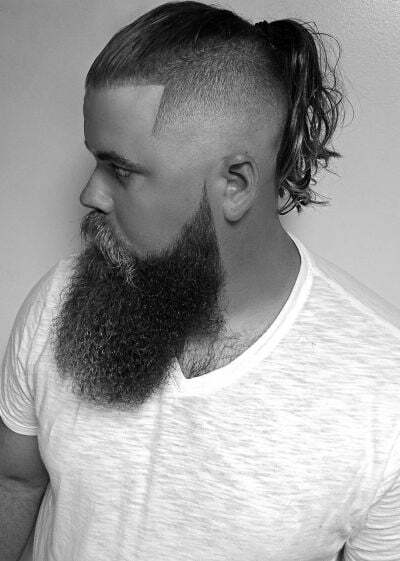 this style combines a ponytail, high fade, and a long beard as well—all for a classy and edgy look. 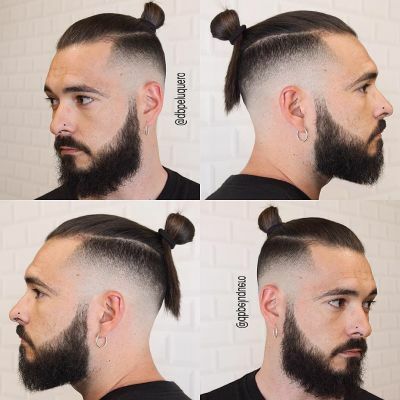 Take the man bun to new levels by adding a high fade at the sides of your head. 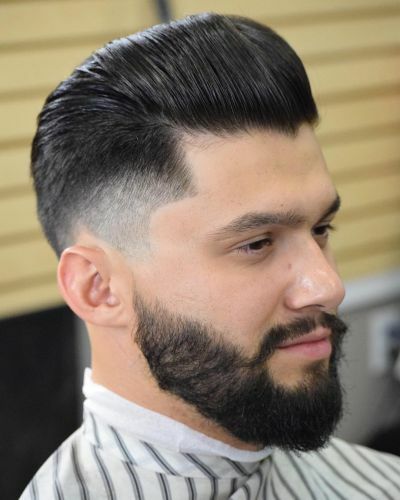 If you want to look mighty dapper and gentlemanly but without seeming like you’re trying too hard—try this modern take on the pompadour haircut. In this version, you’ll get a fade and undercut as well. 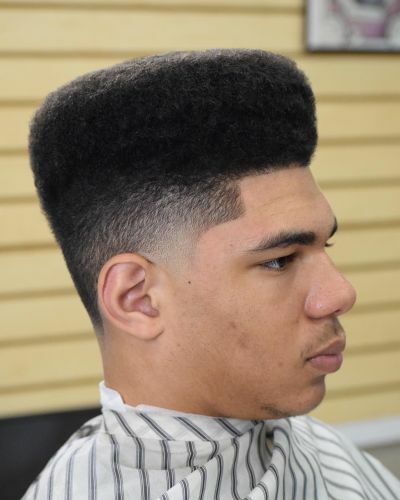 This particular style is a mild flat top hairstyle paired with a classic fade haircut. Takes you back to the 90s, sort of, doesn’t it? 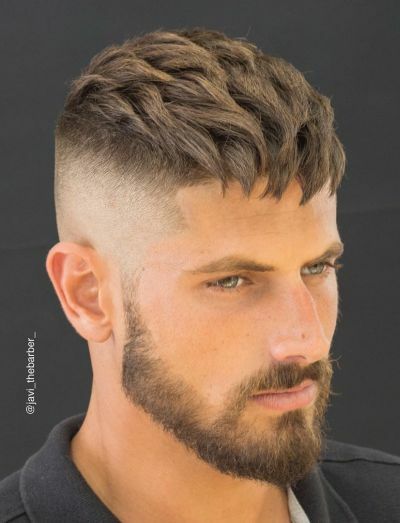 Why don’t you add a tad bit more uniqueness and color to your undercut hairstyle by combining highlights to your hair. 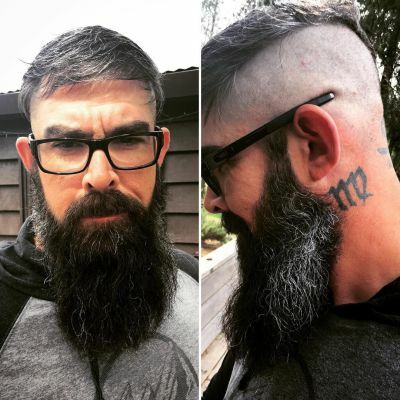 Nothing says hipster more than a modern fade hairstyle and a great wizard beard. 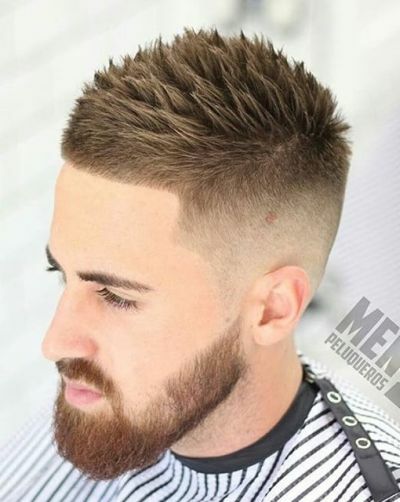 In this haircut, you can see a bald side shave with very careful manscaping. Tough on one side, and a party on the other. 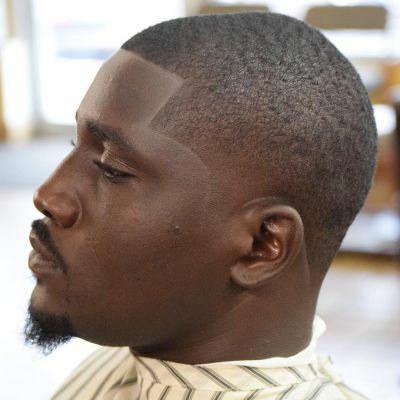 In this haircut, you can see a combination of layered natural hairstyle at the side of the head, and on the other, a close shave cut. 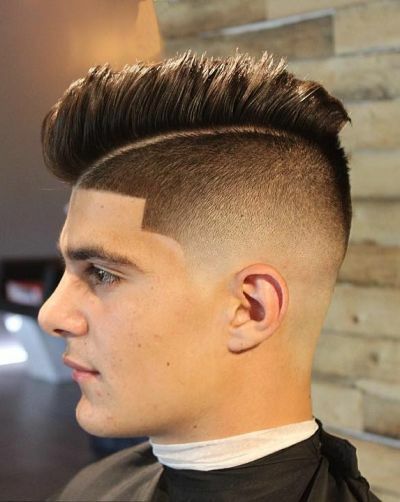 This cut is very subtle in its way of making a statement. 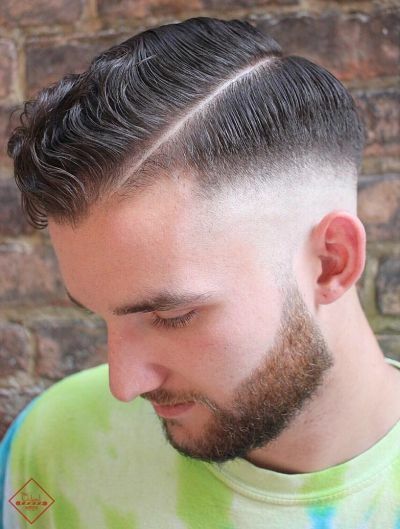 With a short crew cut and lineup, you can spice things up with a straight line design along the side of your head. Who said that only girls can pull off double braids? 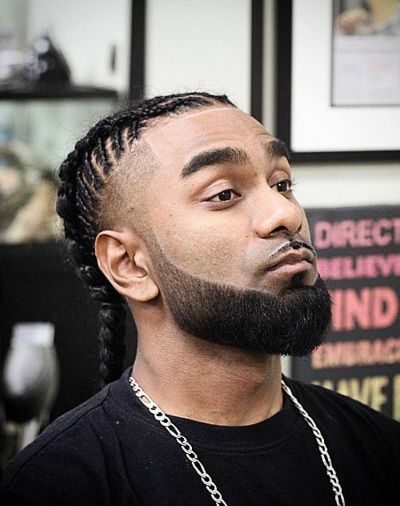 In this style, you can see a low fade, straight line-up, and a crown cornrow braid. 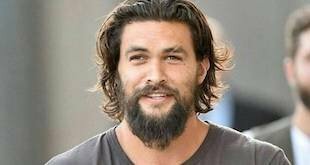 For brothers with naturally curly or frizzy hair, you can have the option of letting it grow out. However, to make it more stylish, why not try a low fade and tying your crowning glory into a big, stylish bun? 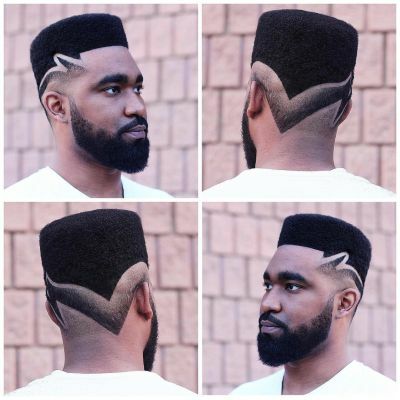 In this cut, you can see another version of a low fade with a creative design. In this case, it’s a double slash on the side of the head. 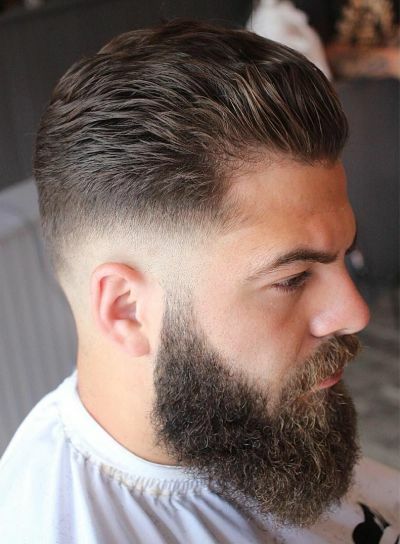 Now, if you want to look very simple yet stylish and excellently classy and gentlemanly, you can try this type of subtle fade—staring at the middle of the side of the head, and a slight brush back. As you know by now, one of the many functions of the fade is to focus attention on the center of the hair. 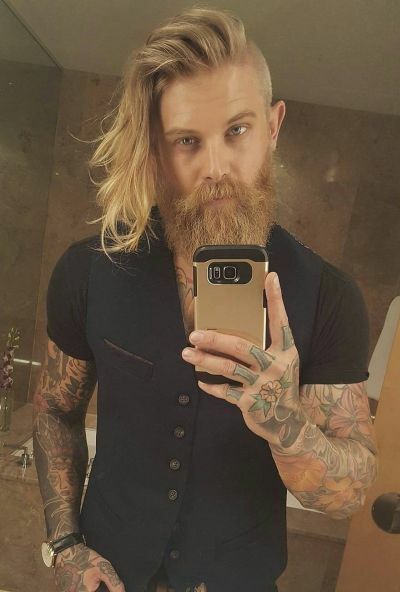 In this case, you can flaunt your assets by getting a high fade and letting your naturally wavy hair do its thing. Want to look like a very cool and young grandpa? have one side of your head grow out and the other closely shaved. 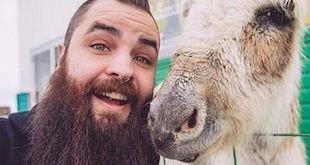 Top the look off with a bit of dedicated manscaping—and a great long beard! Add a bit of color to your fro and the results can be stunning, as you can see in this example. There are a lot of other colors to choose from, as well, so the possibilities are endless. Perhaps it’s time to step up your game and up the creativity ante. 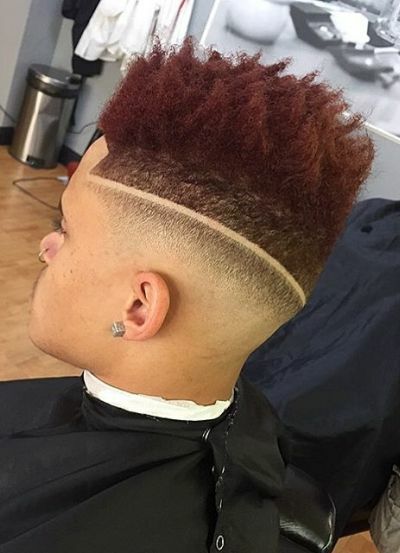 In this cut, you can see a flat top design and a reverse fade pattern. 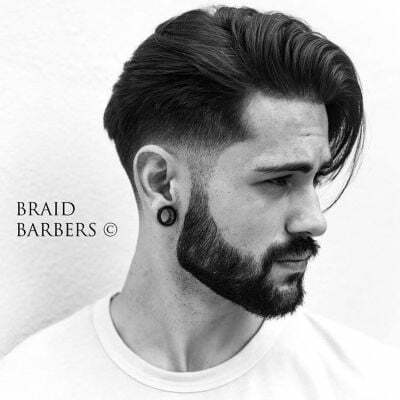 Combining the gentleman look with a bad boy look, this versatile hairstyle is really a new look for classy young men. In this cut, you can see an almost bald side shave in a semi-circle shape. In some instances, you can also use this space for a cool tattoo. For thin and fine hair, you can opt for this hairstyle to make you seem like you have more voluminous hair. It’s a pretty simple one: spiky up top and a subtle high fade. Nab a nerdy, sort of boy next door look with a messy hairstyle. 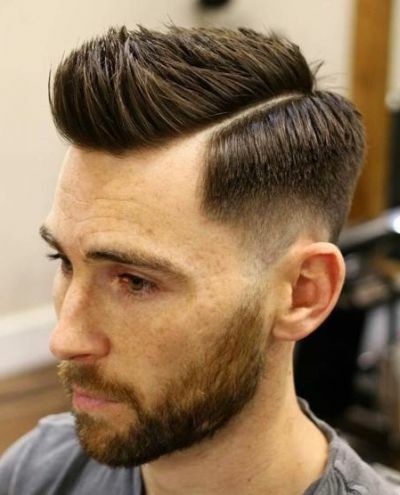 But maintain your edgy aura with a taper fade on the sides. 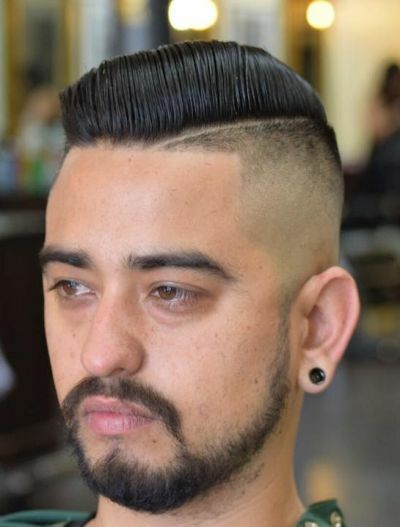 In this hairstyle, you can see a subtle taper fade combined with a long side part fringe and brushback. All elements combining to make you look like a classy rockstar type. There’s a lot going on in this style and you know it. But sometimes, too much stuff going on can be a good thing. 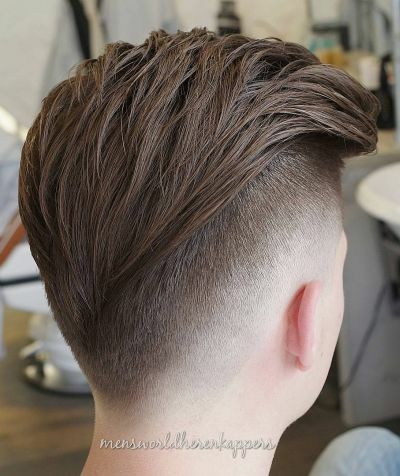 In this cut, you can see angular line-ups and a layered side undercut. If you’re the type to make your hair look long and spiky, this is the hairstyle for you. combine your spiky locks with a textured fade undercut to really make your center hair look bigger. Very thin hair can benefit from a fade. In this style, you can see that the lack of hair at the sides can make the top look thicker than it really is. 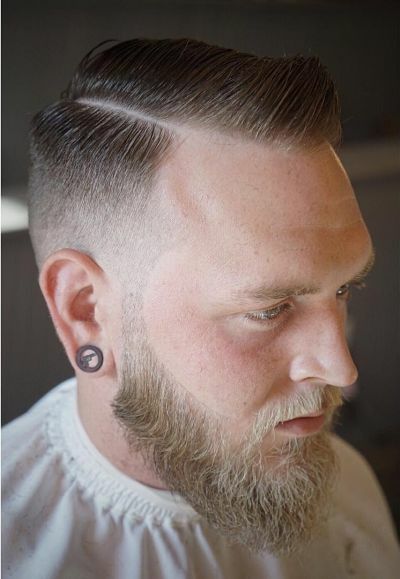 This is another popular combination for men: an undercut with a strikethrough line design with a tinge of unique color on the top. A lot of options you can try, indeed, both with the design and color. 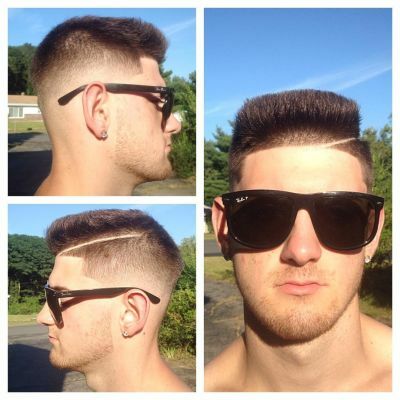 If you have very thin hair that’s hard to style, you can also try a fade if you want to. 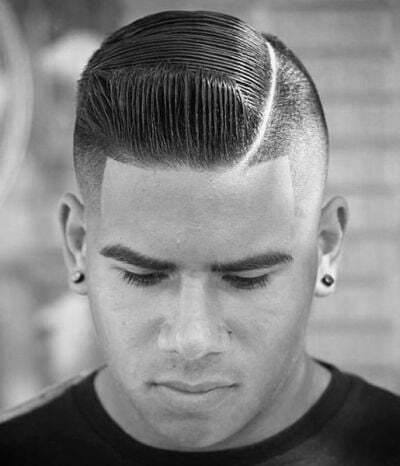 In this hairstyle, you can see a mid-fade along the sides and back of the head, bangs separating along center part. 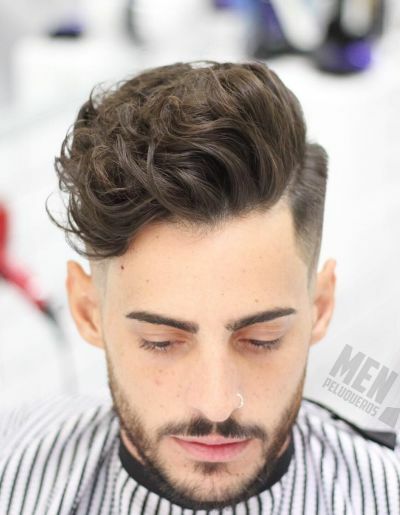 Low fade cut hairstyles give men the modern and edgy look. Wish I had that skill… cheap clippers and mirror is unfortunately what I have to rely on. 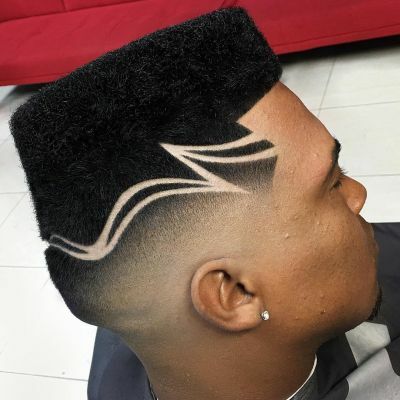 I am a huge fan of the fade haircuts. I really like #1 because it is something that I could pull off. Getting a haircut is one of the most important things you can do as a man! I am digging brad pits hair style. I am stuck between that one and short hawk.